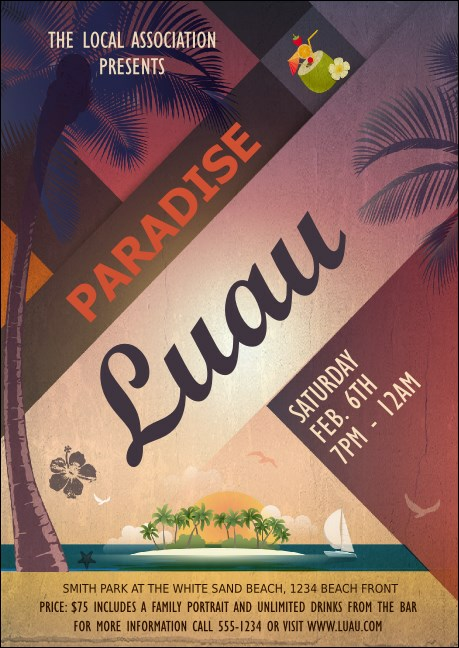 Bring calm to your event promotions and order the Paradise Postcard in advance. Palm trees cover this design, with a tranquil beach overlooking a peaceful island. Send these postcards to those one your guest list or leave with supporting businesses to find new fans. Send relaxing vibes with the right design from TicketPrinting.com.